Engine Service Check engine light on? Come in for a free diagnostic scan! Oil Changes Regular oil changes are crucial to maximizing engine life. Brake Repairs Be safe! Stop by today for a free brake inspection! Emissions Repair Utilizing the latest in computer diagnostic tools. Express Auto Repair has been serving Schaumburg, IL with auto repair service for foreign and domestic vehicles for 25 years. Our repair shop provides quality and affordable repairs and maintenance for your car, truck or SUV. We employ fully trained and experienced mechanics to ensure your service is done right the first time. Open 7 days a week, we are your best choice for car repair and service in the area! Our auto repair shop in Schaumburg, IL offers a variety of car repairs and services at great prices! General auto repair, engine rebuilds, factory scheduled maintenance, tire repair and emissions repair are just some of the services we perform. We are confident that you will be satisfied with your service, which is why we back our repairs with a 1-year part and labor warranty. From catalytic converters to oil changes, we can handle your car repair or maintenance needs. We are an authorized state emissions repair facility, consistently receiving an A rating in the Illinois Air Team Repair Facility Performance Report (Report Card). We repair vehicles that have failed or been rejected for system monitors. We guarantee that your vehicle passes testing by inspecting for evaporative emissions leaks and making the necessary repairs. Our shop is also conveniently located next to a full-service emissions testing station. For emissions service and repair, stop by today! Did you buy an extended warranty for your car or truck? Chances are we honor that warranty! We honor most extended warranties that are purchased for used cars. Give us a call for more information! Check out our blog post on Extended Warranties. Whether you own a domestic or foreign make car, our auto repair mechanics in Schaumburg, IL will take care of you. We work on most popular makes such as Mercedes-Benz, BMW, Jaguar, Honda, Toyota, Nissan, Ford, and Chevrolet, plus much more! Our skilled mechanics are experienced in servicing most makes and models. Stop by today and let us show you why we are your first choice for auto repair and service. Our knowledgeable and friendly staff strive to give you guaranteed satisfaction with your repair or service. Honesty and value are what we provide our customers and we do everything possible to make sure you are happy with your service. We are open 7 days a week with free local shuttle service and after hours drop off for your added convenience. We also have free Wi-Fi and a kids playroom. For the best auto repair service in Schaumburg, IL, call us at (847) 895-9131 or visit us! We look forward to serving you! 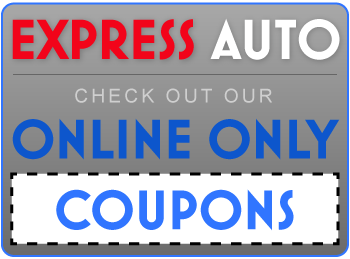 Express Auto Repair in Schaumburg, IL has been serving the area for 25 years with affordable and reliable auto repair service for your foreign or domestic car, truck or SUV. Our skilled and fully trained mechanics provide you with the best possible service for your vehicle. We stand behind our repairs with a 1-year parts and labor warranty. We are open 7 days a week, Monday through Sunday. We offer free shuttle service and after hours drop off for your convenience. For the best car repair and maintenance service in Schaumburg, IL, call Express Auto Repair today at (847) 895-9131! 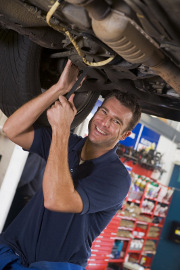 At Express Auto Repair, we perform general auto repairs and maintenance services. From factory maintenance to tune-ups to shocks and struts, we offer reliable and affordable car repair service in Schaumburg, IL. Our skilled and knowledgeable mechanics work on most car makes and models, both foreign and domestic. BMW, Mercedes-Benz, Jaguar, Ford, Honda, Nissan and Toyota are just some of the car brands we service. Our shop is an authorized emissions repair facility with an A rating in the Illinois Air Team Repair Facility Report Card. Our shop is also conveniently located next to a full-service emissions testing station. If you failed an emissions test, our trained mechanics can pinpoint and repair the problem. For car emissions repair and service in Schaumburg, IL, stop by today! We aim to make sure you are satisfied with your service. To make your visit easier we provide free local shuttle service as well as after hours drop off. We are even open on weekends to better suit your busy schedule. If you need an oil change, tune-up, tire rotation, new shocks or struts or any other repair or maintenance service, feel free to call us at (847) 895-9131 or visit us! 12 Year Loyal Customer, Larry B. Great and Friendly service., Tomasz M.
Honest & Fair, Martin A. Posted on August 19, 2014 by Express Auto.